Donna Wiegle is the founder of Eldercare Outreach of Swan’s Island. She lives in Swan’s Island. She told us this story, which first appeared at Death with Dignity National Center’s website, in June 2018. I survived my first bout with cancer nearly 30 years ago. Then, in April 2016, I was diagnosed with ovarian cancer. I was given a 5-year prognosis and I’m already two years into that time frame. I only feel comfortable planning out one year at a time and soon it will be even less. Since my diagnosis, I’ve decided I need to be on an accelerated living plan. I am using what time I have left to do the things I’ve always wanted to do—and to advocate for death with dignity. The right to choose the time and manner of your death is something I’ve always believed in; now, I am working with dedicated citizens in Maine to make assisted dying an end-of-life option that can offer terminally ill patients dignity, autonomy, and control. I was diagnosed with cervical cancer in 1990. I had a hysterectomy, but my surgeon decided not to remove my ovaries because they were healthy. Following my surgery, I received 6 weeks of intense radiation therapy: a procedure that eradicated the cancer but would lead to trouble decades later. My first trip to a doctor in the wake of my ovarian cancer diagnosis was frustrating, to say the least. I was told I was not a candidate for surgery to remove my ovaries. Stunned and confused, I sought a second opinion. 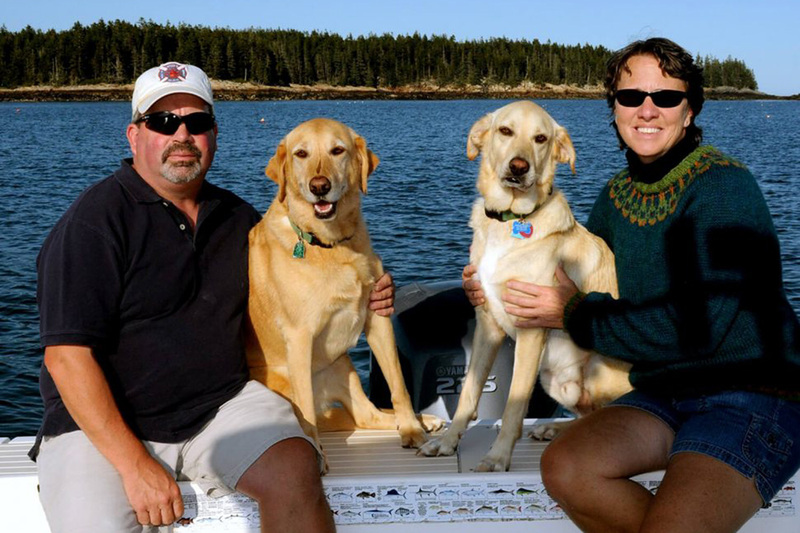 My husband Charlie and I traveled south from our home on Swan’s Island to Dana-Farber Cancer Institute in Boston. Again, a doctor told me I could not have surgery. Why not? It turns out the damage to my pelvic area, including my small intestines, from the radiation treatments decades prior was so severe that trying to operate was too risky. I might not survive the surgery. All that was left to do was begin chemotherapy for a type of cancer that was considered to be chemo-resistant. I signed up for 18 weekly treatments of chemo. But I only completed 10. After months of making weekly treks from my island home to a mainland hospital for treatment, I developed neuropathy—a common but painful nerve disorder that’s a common side effect of chemo—in my feet. Just walking around was agonizing. My quality of life was declining. My oncologist said the neuropathy could get worse if I continued chemo and could be permanent. I couldn’t imagine it getting any worse than it was so I told my doctor I was quitting chemo. As manager of a clinic and a trained hospice volunteer I care for patients who are in their final stage of life. I have had the opportunity to speak with people about their hopes, fears, desires, and needs for end-of-life care. This has helped me to think deeply about how I hope the end of my life will go. My husband and I moved to Maine from Pennsylvania in September 2002. I worked some odd jobs while I searched for a way to apply my professional experience as a medical technician in my new community. A lobsterman named Rusty offered me a job working as a sternman on his lobster boat. My life changed when Rusty was diagnosed with stage 4 lung cancer in July 2005. He lived alone and had no one to care for him. I started mowing his grass, preparing meals for him, and taking care of other chores because he no longer had the strength to do them. His illness was brief. He died in October 2005, just three months after his diagnosis. My experience with Rusty made me realize that there was a need for a health center and elder care on Swan’s Island. We are a tiny community: 350 year-round residents and not a single traffic light on the island. Oftentimes we must take a ferry to the mainland to access basic services. I knew I had the skills and the passion to start a clinic. I worked with the Board of Selectmen and the community to renovate an old vacant restaurant building and convert it to a modern health center that opened in 2007. In addition to my work at the health center, I also formed a non-profit organization, Eldercare Outreach of Swan’s Island, in 2014. For more than a decade I was the clinic’s only employee. I did everything. I would take patients’ vital signs, give patients injections, perform EKGs, draw blood, run educational programs, and clean the toilets—all in a day’s work. If somebody calls and tells me that their mom just got home from the hospital and needs basic home health services, I will provide those services myself or contact a mainland doctor or agency to work with me. I’ve also volunteered my services to hospice patients, who are in need of basic assistance with physical tasks as well as companionship and a sympathetic ear. What I’ve learned and observed from my time with patients has allowed me to have some idea in my mind of what my ideal end of life will look like. I’m not there yet, so I’m going to live life to the fullest while I can. 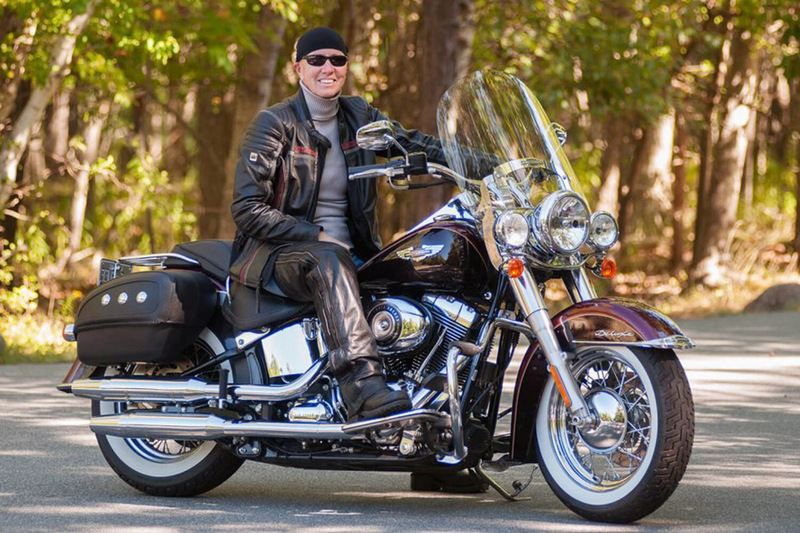 I bought my first Harley-Davidson motorcycle when I turned 50 in 2010; it was a 2006 model. I got a brand-new Harley motorcycle a few years later. Since my diagnosis, I’ve done as much riding as possible. I did a long solo ride up into Canada; my husband and I recently rode around the Arizona desert. A few weeks ago, he and I did a 240-mile ride along the coast of Maine. Being on my bike makes me feel alive. But I know my days of riding are numbered. The debate over death with dignity has been ongoing in Maine for nearly two decades. The Legislature has considered aid-in-dying bills in recent years but failed to pass one. I’ve been very disappointed at the lack of action by my elected officials, which is why I was excited to learn about a new citizen’s initiative to pass an assisted-dying law. I read about my fellow Maine resident, Val Lovelace’s work with the Death with Dignity National Center to co-found Maine Death with Dignity. In April, Val and a dedicated group of Maine volunteers began a signature-gathering drive to place a death with dignity measure on the November 2019 ballot. I’ve never collected signatures; I’ve never done anything quite like this before. But this is something I feel very passionately about. I saw the captain on my lobster boat die with no option to ease his suffering. There has to be a dignified way out for those who are dying and want to leave the pain and suffering behind. Even if the patient chooses not to exercise this option, it allows them to have some control over what happens to them in their final hours. I couldn’t say with any certainty whether I would utilize physician-assisted death in the end. But to know it is an option available, whether I choose to pursue it or not, would bring me comfort and peace of mind. After I had cancer the first time, I was invited to a survivor’s event at the cancer center where I had my radiation treatment in Pennsylvania and was asked to give a speech. I was 30 at the time. A news story that came out after the event quoted me as saying that having cancer is one of the best things that ever happened to me. I chose to get busy living. We all need to appreciate life, whether we have a terminal diagnosis or not. Otherwise we’re taking life for granted. I don’t want to do that. I can’t do that. 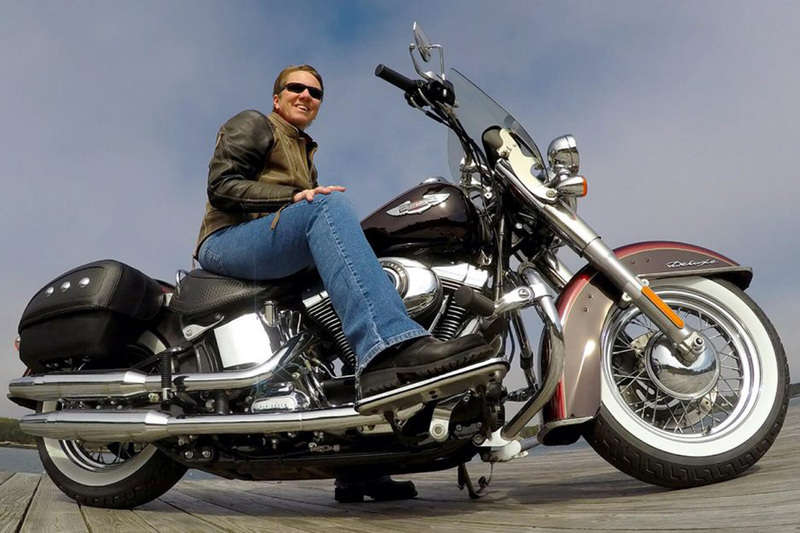 But there will be a time when I can’t ride my Harley or go for a boat ride with my husband off the coast of Maine. When that time comes, I hope I have a choice about how my end goes. This summer, when I’m not soaking up the sun on an afternoon ride, I’ll be at my local post office gathering signatures for Maine Death with Dignity. We have the power to pass a measure that ensures all Mainers have the right to die on their own terms.